The New York Times bestselling master of mystery and suspense, J.A. Jance—whom the Chattanooga Times ranks “among the best, if not the best”—brings back her enormously popular series protagonist, Cochise County Sheriff Joanna Brady. 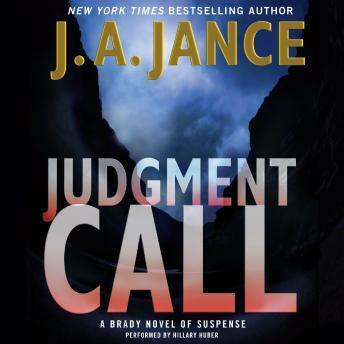 With Judgment Call, Jance achieves a new high in crime fiction, as Brady wrestles with her conflicting roles of law officer and mother when her daughter discovers the murdered body of the local high school principal, and the ensuing investigation reveals secrets no parent wants to hear. At once a breathtaking recreation of the rugged landscape of the American Southwest, a moving story of a mother’s concerns for her endangered child, and thrilling masterwork of brutal crime and expert detection, Judgment Call is prime J.A. Jance, a treat for anyone who loves a good cop story wrapped around a superior family drama.